GANANOQUE – Town police took a wanted man off the street Saturday while also finding a stun gun during his arrest. Police say the accused, who was in the back seat of a car, was trying to hide stuff as they approached. 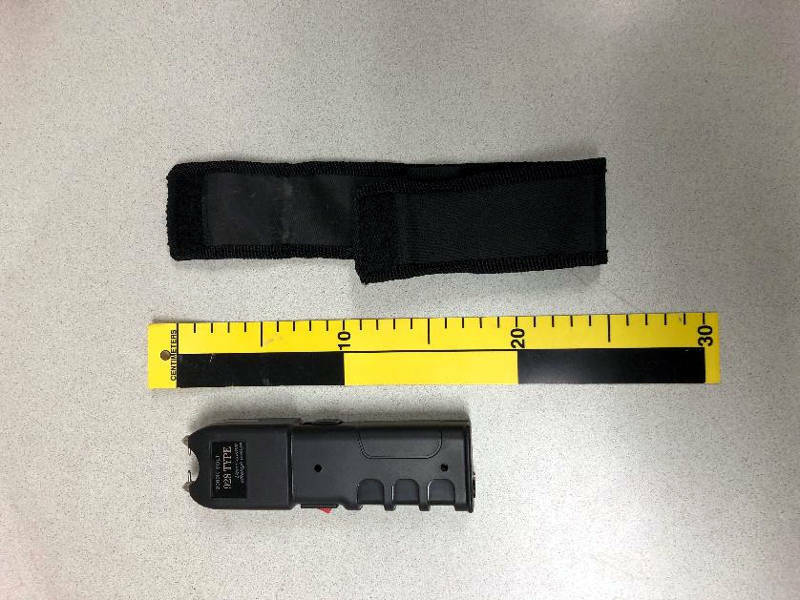 Officers later found a stun gun that was all charged up and ready to zap someone. A 37-year-old Brockville man was arrested and charged with breach of probation and breach of a court order to not be carrying any weapons. He had a 10 year ban from a previous court order, police added.